I’ve been knitting a super secret project for the past few months but now it’s been gifted and I can finally tell you about it. 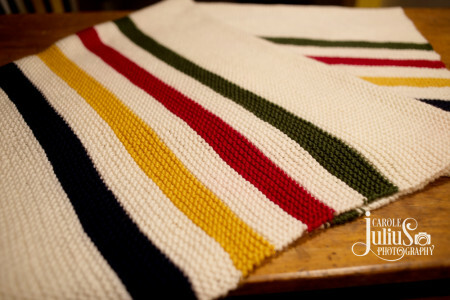 It’s the Hudson Bay Baby Blanket and I made it for the woman I work with who is having a baby. You remember the baby shower, right? When the plan was announced for the baby shower (a board book and $$ from everyone) I had already started this blanket but I thought, well, I can still give her the blanket – just not at the shower. I’m happy to say that I finished it last week and it has been given away and it was very well received. And I am so so glad to be done with this. I enjoyed the knitting very much but, my friends, it was miles and miles of garter stitch. Easy and soothing but also bo-ring. It saw me through a lot of football and television, I’ll tell you that. The yarn, for those who want to know, is Valley Yarns Haydenville, a superwash merino blend that is very very soft and smooshy. Perfect for a new winter baby to be wrapped in and snuggled tight. Now we just need the little guy to show up. I’ll keep you posted. I love it! Imagine all that work and this lucky baby gets to be warmed and comfoted by it…work well worth it, I think. I really REALLY love that blanket! Did you use a pattern or make it up? Stripes on both ends? Now I want to make one although there are no babies in the immediate future. P. S. Never mind – just answered my own question. I like your classic color choices better than the Ravelry model. That will be a very snuggly baby, as is appropriate. I almost asked about that pic yesterday. I did one of those ‘easy garter’ projects and nearly lost my mind a couple of times. Gorgeous! But I can see how it’s be boring. Glad it was baby-sized! That is a really wonderful blanket! 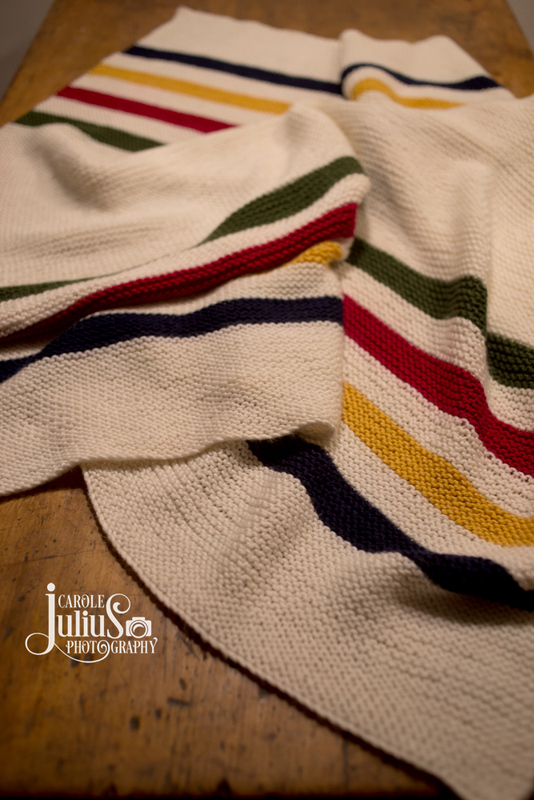 Even when I saw the thumbnail photo in your November collage I knew that all that garter stitch was a labor of love for your coworker. The baby may show up soon if he knows he’s got that lovely, warm blanket ready for him! Not only is that lovely, it is also (garter stitch Merino) DH’s and the cats’ favorite type of blanket. DH would call it “cat bait”. I know the recipient will be well cuddled in your knitting! It’s so timeless and lovely. Did you just wing it or is it a pattern? OMG so nice. Saw it in the pics yesterday and thought how did I miss that post. Lucky baby! Had been wondering what you had been knitting lately – lol. The blanket is wonderful! I’m sure it was boring, but what a fabulous gift. Lucky baby!! That’s a lovely blanket. 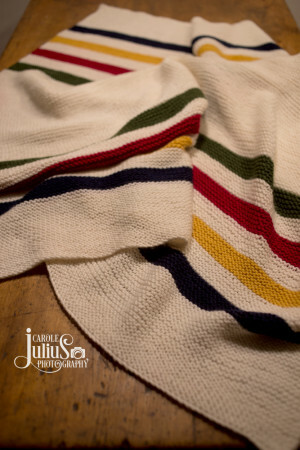 I’ve got two garter stitch projects going now and I really have found them soothing and easy enough knitting for while I am injured. That is so cute (albeit boring for all those rows of garter), but I love it! And, how perfect for a little boy!! May this little one be here soon and wrapped snugly in that beautiful blanket! 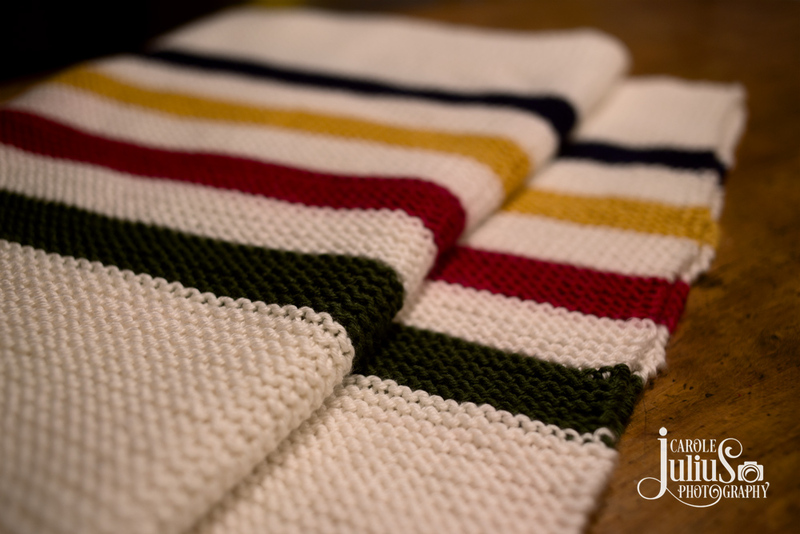 Some days there is just oodles of pride in being a knitter – I’d say, you achieved that 10 fold! It’s a perfect project for football watching and the finished product is just great! That’s just beautiful! I’ve got a girl baby coming in April…you’ve just given me food for thought! The blanket is a lovely gift of time that will be appreciated for years to come! 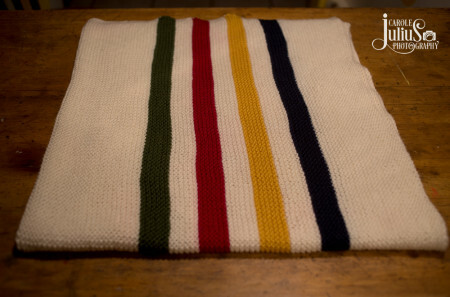 I have always had visions of making something Hudson Bay Blanket-themed, too. Your blanket is perfect! Carole, this is so lovely! I actually enjoy garter stitch sometimes. It can be very meditative, but it can get boring. I am sure the recipient was delighted with this. So thoughtful of you! Love it, the color combination is fantastic and am sure it’ll be used and cherished for years! ha! 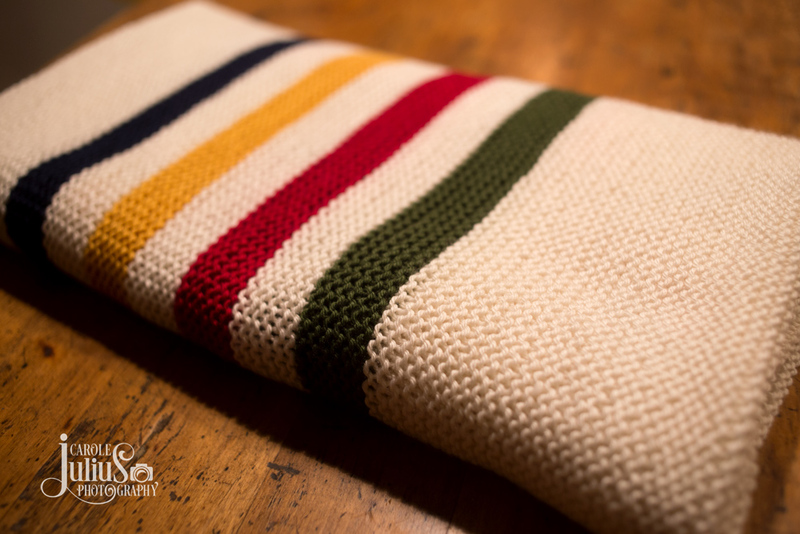 if I weren’t so far behind reading blogs, I wouldn’t have just left a comment on an earlier post asking for those details 🙂 The blanket turned out beautifully; I’m sure the new mama is going to love using it! It is such a beautiful blanket! Love it!